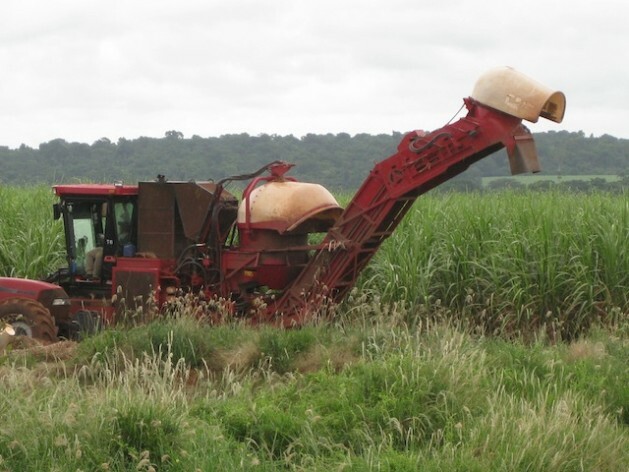 BRUSSELS, Jul 12 2013 (IPS) - In an unexpected move, European parliamentarians have approved a new biofuel regulation that will take emissions from indirect land use change into account. The new text allows the biofuel sector to expand, sending a clear signal to world food markets and jeopardising food security for the world’s poorest. The European Parliament’s Environment Committee (ENVI) voted Thursday in favour of a proposal that limits the use of biofuels to 5.5 percent. This percentage is a compromise between the European Greens who asked for a cap of three percent and the centre-right European People’s Party that wanted a cap of 6.5 percent. The cap was introduced by the European Commission a year ago after criticism that the policy boosted food prices, causing hunger in developing nations. The approved proposal also requires companies to measure the amount of indirect land use change (ILUC) caused by their fuels. ILUC refers to the clearing of rainforest, peatlands and wetlands rich in sequestered carbon to fulfill the demand for more land, and causing extra emissions. When the indirect land use change factor is accounted for, many biofuels turn out to cause more emissions than fossil fuels. “The introduction of indirect land use change is the most important element in this vote,” Bas Eickhout, member of parliament for the European Green Party told IPS. “Furthermore, the cap of 5.5 percent includes all land-based biofuel crops that compete with food production in the use of land and water. This is a setback for the industry that just wanted to continue business as usual. Environmental campaigners have mixed feelings about the approved regulation. “From the point of view of the climate, this result is unexpectedly positive: from now on only truly sustainable biofuels will be subsidized,” Marc-Olivier Herman, Oxfam International’s biofuel expert, told IPS. The move to increase the percentage comes despite calls from the United Nations Special Rapporteur on the right to food, Olivier De Schutter. De Schutter wrote to parliamentarians on Apr. 23 and visited the European parliament on Jun. 19 to make clear what detrimental effects the European Union’s policy has on food security in developing nations. De Schutter cites research by the EU Joint Research Centre showing that by 2020 EU biofuel targets could push up the agricultural price of vegetable oils by 36 percent, maize by 22 percent, wheat by 13 percent and oilseeds by 20 percent. Furthermore, according to De Schutter, smallholders in developing countries fall victim in two different ways. “EU biofuels demand has increased the existing pressures on land in developing countries,” he said. “It has stacked the odds in favour of large-scale export-oriented projects and against the interests of small-scale farmers who need secure access to land and resources. “Indeed, the smallholders whose access to land and resources is threatened by large-scale investments are often among those most affected by rising food prices. The poorest farmers, though they depend on subsistence agriculture for part of their consumption, are often net food buyers, contrary to common perception. “My mandate is to offer a rights-based assessment of major policies which have impacts across the world and to remind policymakers of the requirements of the right to food,” De Schutter told IPS.